“Legendary” is probably pushing it a little bit. Contrary to what you might think, I didn’t outright condemn the FPS XCOM “update” when I first saw it. I was sceptical about how good it would be, yes, but unlike some old classics there’s definitely room to adapt the basic tenets of X-COM gameplay to a first person game. Hell, game developers recognised they had this latitude over a decade ago when FPSes were still a hot new thing and not the tired old warhorse of gaming. 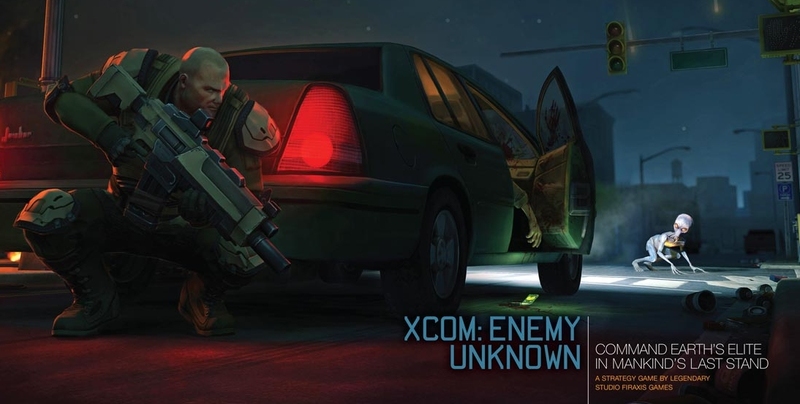 Unfortunately after the screenshots and videos revealed scripted alien encounter cutscenes along with an uncanny proliferation of waist-high cover rather than the Rainbow Six-style tactical shooter I’d envisaged, any hopes I might have had for X-COM were dashed barring 2K Games suffering a sudden rash of sanity and also giving the licence to a dedicated strategy game developer like Firaxis. Which is why I was somewhat surprised to discover, upon getting out of bed yesterday, that they had done exactly that.